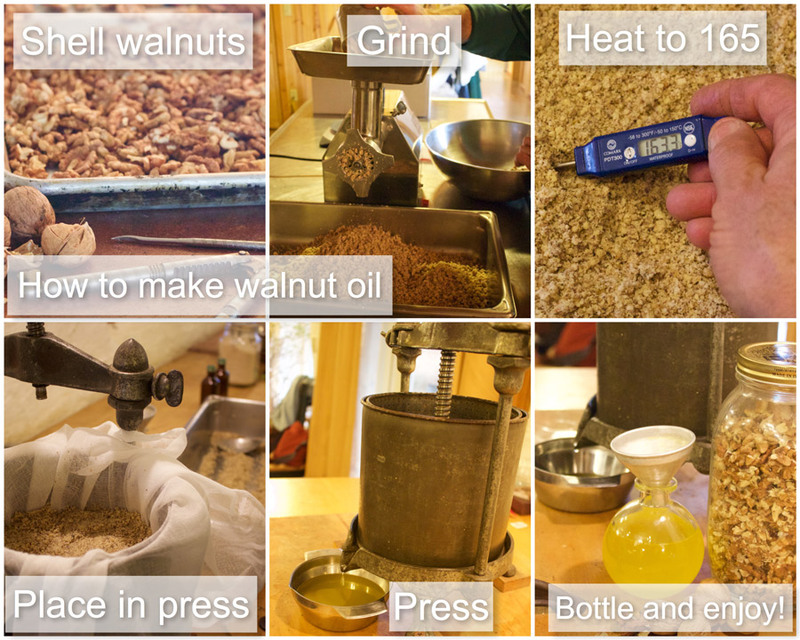 A photo tutorial on a simple way to make walnut oil at home or on the farm! All you need is a little time and a few pounds of shelled walnuts. Shelling the walnuts is the most time consuming part of the process, but can be fun if you get a group of friends or family to pitch in and help. Make sure to get all the shells and center pith out of the walnuts. Next, finely grind the walnuts, we use our electric meat grinder. The heating step takes some time as you don’t want the nuts to toast, so use a slow oven 200-250*F stir them periodically as they all come to 165*F, while the walnuts are warm place them in a press. Rick purchased this small antique lard press from a local second hand store. We line it with cheesecloth (it helps when it is time to remove the spent walnut cake) then pack in the warm nuts, this press holds about 6 pounds of of ground walnuts, giving us between 16-20 ounces of oil. The walnut cake left over can be broken up and used for flour in baking and the lovely oil can be drizzled on salads, in soup or ? 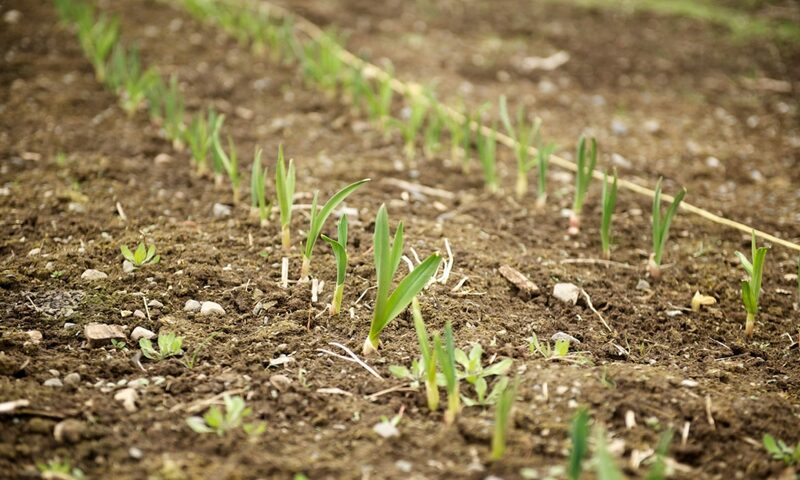 What we do know is that you will learn a new appreciation for walnut oil and never want to waste a drop!